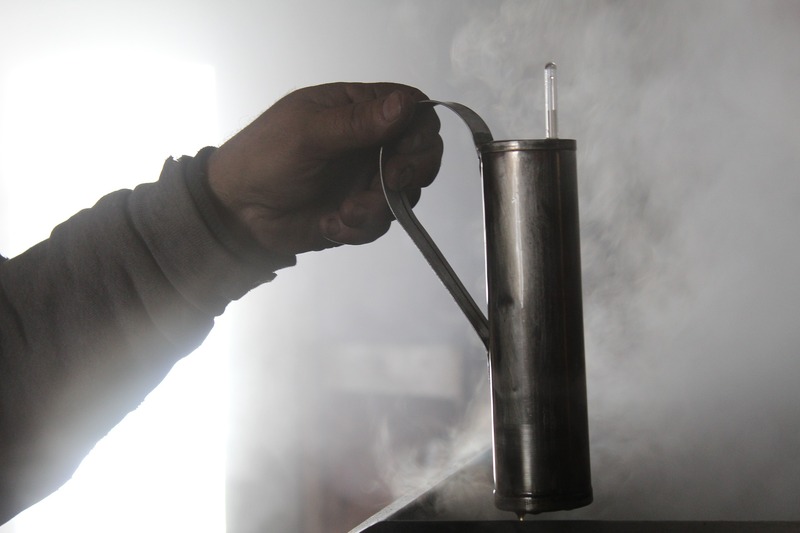 Maple sugaring has been part of the Northeast's identity throughout its history as it was a practice passed along by the natives of the region. -Maple products are now an economic staple as it was a one hundred and forty one million dollar industry in the Unites States in 2017 and continues to grow as technological advances push producers to new heights though total yield numbers are down five percent from the previous year (United States maple syrup production, 2018). Although, the Northeast of the United States has begun to fall behind in production to southwest Canada as our changing climate makes parts of the southern northeast less viable for producers (Perkins, 2017). Tree health is the first area of vulnerability when considering climate change and its impact on maple sugar in the northeast United States. The species of tree that is predominantly used for sugaring is the sugar maple (acer saccharum). The sugar maple is an economic staple not only for for its ability to yield sap but as well as timber because of its strength. -Land within the northeast is generally loamy, well-drained calcium rich soil that has a Ph balance suitable for sugar maples to grow and reproduce. Though in the recent past acid rain has changed the make up of the soil creating a nutrient imbalance. Acid rain is the byproduct of greenhouse gas emissions that fall back down to earth generally from industrial coal fired power plants of the Midwest. The acid rain depletes the amount of calcium in the soil increasing the acidity levels and making the soil less fertile (Ramanujan, 2006). -Sugar maples are also sensitive to defoliation by pests, specifically the Forest Tent caterpillar in times of drought. Although native to the northeast region, while in a time of drought these caterpillars are far more destructive to the sugar maples. In 2017 alone 60,000 acres of defoliation occurred as drought like conditions were frequent during the growing season causing outbreaks (Thompson, 2018). Sap quantity and sugar content are other vulnerabilities, which have a strong correlation to each other. Much research has found that above average or higher temperatures during the growing season causes a reduction of sugar content seen that following tapping season. One study conducted at the University of Massachusetts collected data from six different sugar bush plots from Quebec to Southwest Virginia. The regions with the cooler mean July temperature had higher sugar content within the sap (Stinson, 2018). As could be expected, these locations were situated the furthest north. Higher sap content is essential for having a profitable sugaring season because it means your overall efficiency is higher. In instances where sugar content is low, the ratio of sap that has to be boiled increases. Even a one percent difference in the percent sugar could mean a bad year for a producer.